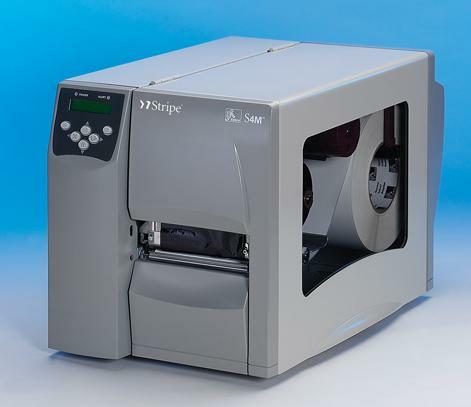 Zebra’s S4M printer offers ease of use, a metal construction, and a variety of connectivity options into a thermal printer that takes a full 8” roll of Zebra labels for fewer media changes. Designed for the budget–minded, the S4M has the features needed to support many applications at an affordable price. With easy controls and proven side-loading design, it’s quick to learn, use, and load, so operators can focus on more productive tasks. S4M DT/TT 4.09" .75" - 4.5" 203/300 8/6 IPS 8" / 6" 3" / 1"